Endoca Hemp Salve, 750mg CBD. So pure you could eat it. 100% organic and natural skin care. Antioxident, moisturizing, anti-seborrhoeic and anti-aging. Rich in antioxidants such as CBD , Vitamin C and E, Endoca Hemp Salve protects against environmental damage, making it a great barrier cream. Organic natural oils and butters protect skin in the harsh cold and dry months. Provides the skin with the natural lipids. This salve reduces evaporation and can increases the moisture content of your skin. 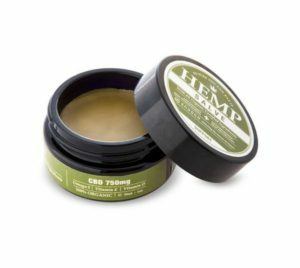 Hemp salve is a natural and healthy way to get instant relief in sensitive or broken skin areas. It is especially good for dry lips, elbows, knees and cracked heels. It also can also calm irritated baby skin.